The audible chirp when my XV Crosstrek is locked or unlocked is quite annoying -- worse is when someone hasn't closed the door completely yet and it beeps 5 times. Here's a simple (and completely reversible) way to disable your Crosstrek's lock/unlock sound. This guide also works for other Subarus (including the Outback) of the model year 2013+. Note: You can still make your car "chirp" (though it uses the horn) by pressing the button on your remote three times. This is handy if you want to locate your car in a parking lot, for example. Keep the key out of the ignition and make sure all doors are closed. On the driver's side door, hold down the unlock button. Do this while continuing to hold the unlock button. This must be done inside of a 10 second window from when you began holding the unlock key. This must be done inside of a 10 second window from when you inserted and removed the key 6+ times. After you close your door, your hazard lights on the dashboard will flash three times if this process was completely successfully. If you did not see this confirmation, repeat this process again. 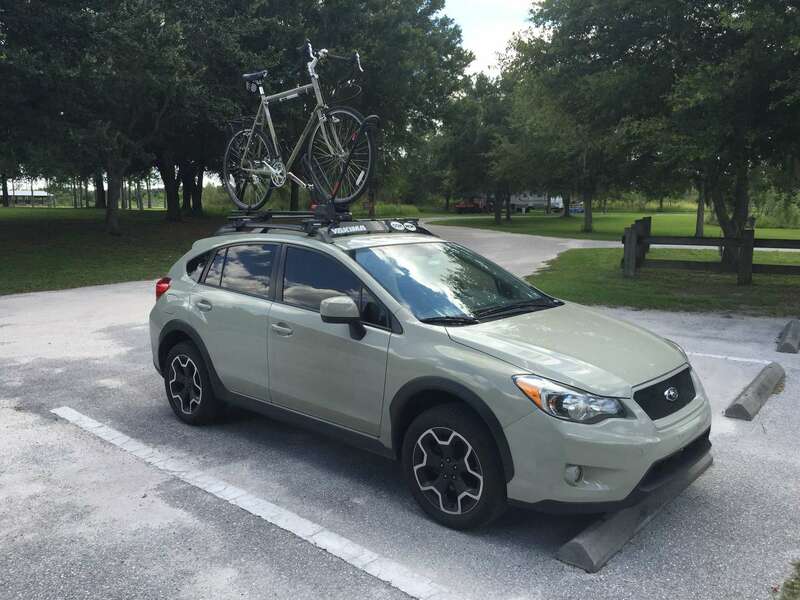 There have been reports from numerous Subaru XV forums that it can take multiple times to get this to work. To turn the lock/unlock beep back on, simply repeat this process again to reverse the setting. More information on this process can be found in your owner's manual.